Even approaching 300 days (oh my, three HUNDRED days!) 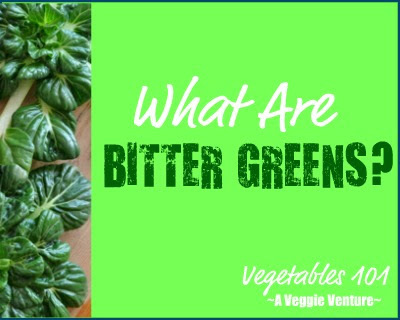 of cooking a vegetable in a new way every single day, A Veggie Venture has some holes. A big one -- one I aim to fix NOW -- is fennel. So in February, let's cook some fennel! Tonight's oh-so-simple fennel suffered: it went into the oven with a whole chicken, on the upper rack which turned out to be too far from the heat source at the bottom. When the picture was taken, the fennel was only half done and hmm, let's call it 'chewy'. After another 30 minutes in the oven, it was buttery delicious. 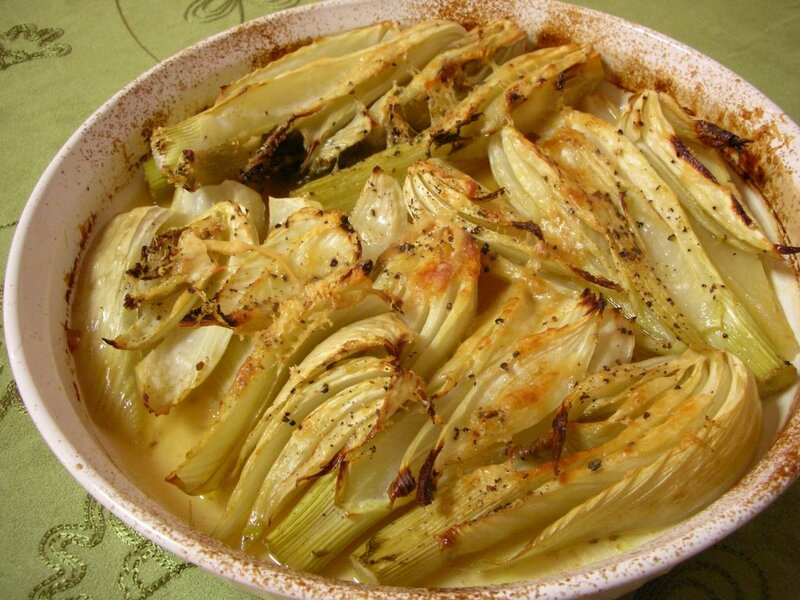 NUTRITION NOTES Fennel is high-fiber, low-calorie and low-carb. It's versatile too, great slivered into salads and even better roasted or braised. Because of its firm texture, it's often a meat substitute for vegetarians. Preheat the oven to 400F. Trim the base off the fennel. Leaving the core intact, slice the bulb(s) vertically so that each piece is about a half inch wide. Tuck into a low greased casserole dish, overlapping as little as possible. Add the broth, sprinkle with olive oil and season well with salt and pepper. Cover with foil and roast for about 30 minutes. Remove the foil, add the Parmesan and roast, uncovered, for another 30 - 45 minutes.